Amazing recipes for Summer to keep yourself hydrated,and how better than drinking some flavored yogurt based drink? 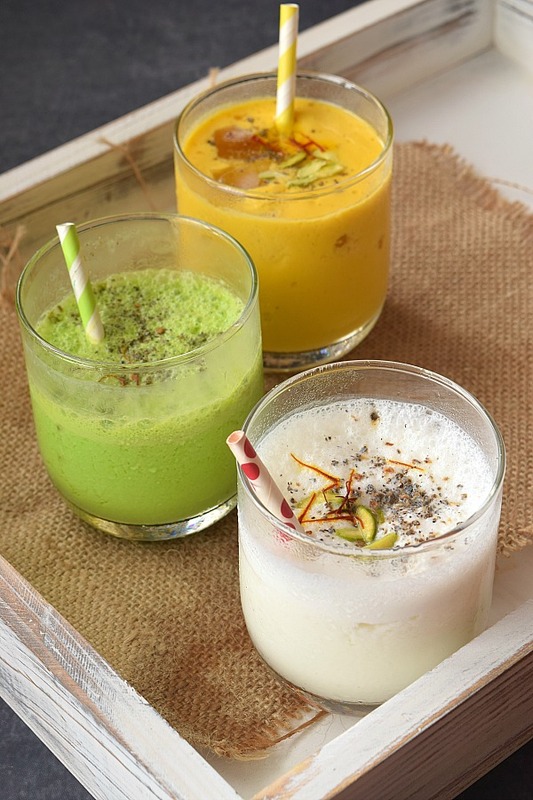 Here's I am sharig three flavorful recipes of Lassi varieties -Mango Lassi,Elaichi (Cardamom)Lassi and Matcha Lassi. Summer is here (or going to be soon) at least in this part of the world and I so hate this season for the heat and sweat,but what I love most of it is the long list of things that we can enjoy in Summer ,which we usually wont when it rains or winter. Yes, I am talking about all the seasonal favorites that Summer brings...let me start to name them Mango,Cashew,ofcourse when cashew comes in picture then comes the most diluted cashew liquor or "Niro" (that's the local term),with mango in the season comes the mango cheese,mango shakes and then with summer all types of cold drink,ice creams and cooling drinks come in the picture. I have shared multiple Ice-creams and beverages that are pretty good to cool you off like Mango No Churn Ice Cream,Mango Cream Popsicle,Pistachio Icecream,Almond Badam Kulfi,Strawberry Lassi Kulfi,Orange Mojito,Banana Chocolate Frappe...yes and now another addition to that list is very soothing and delicious.Here I am sharing three different lassi types with one base yogurt blend. 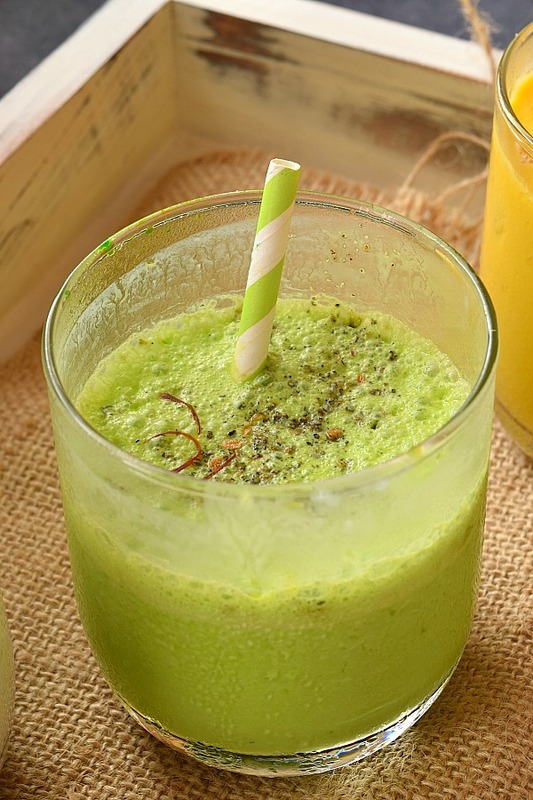 I have shared Elaichi (Cardamom ) lassi,Mango Lassi,Matcha Lassi recipes here.The recipe is so simple,one base yogurt blend and add whatever flavors that suit you and enjoy! 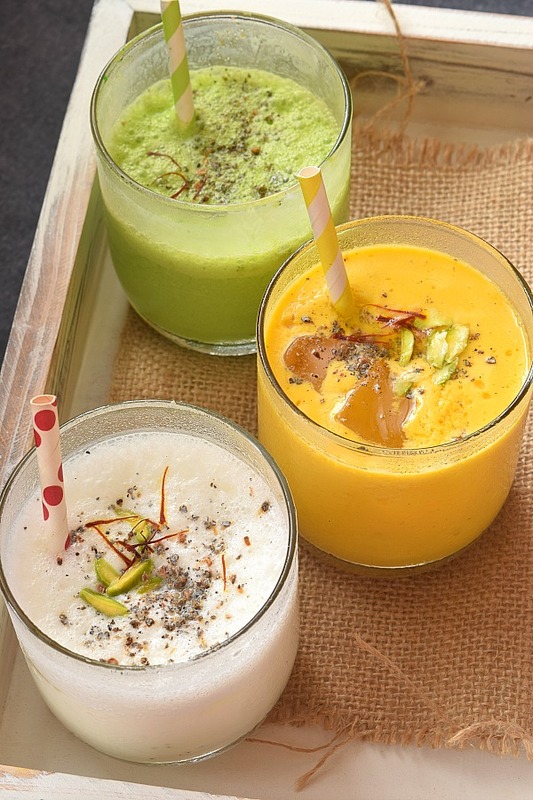 Make these lassi more healthier by adding honey /maple syrup /coconut sugar instead of refined sugar and enjoy! 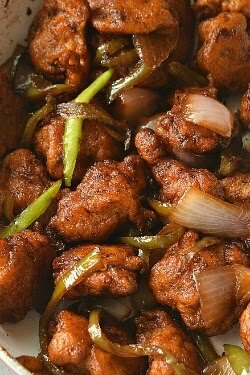 This recipe makes 3 servings,one each variety. Instead of adding sugar ,replace it with honey /coconut sugar. Adding milk to lassi gives a lovely texture but you can skip it and add little water instead. 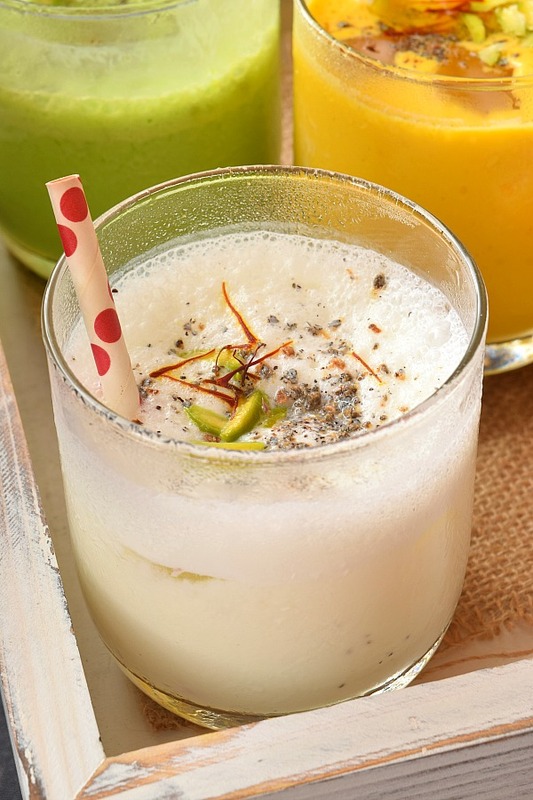 Depending on how much sweetness or sourness you need in the lassi accordingly decide upon adding the sugar. 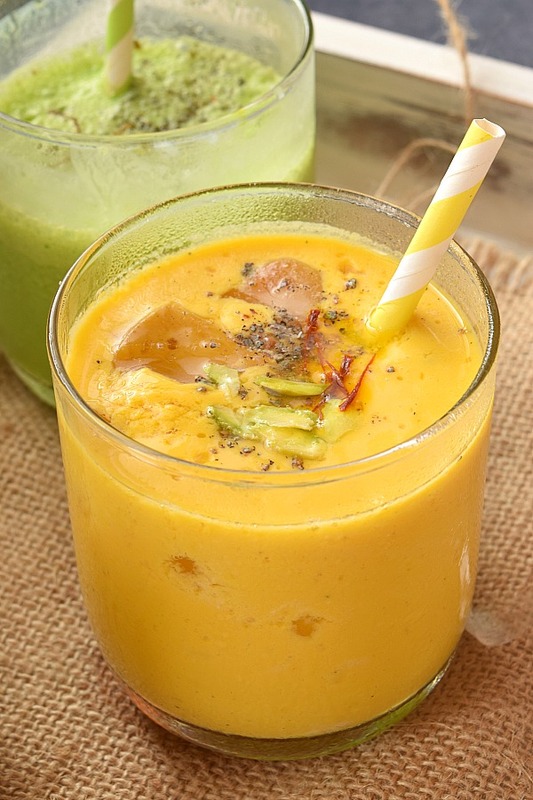 Sometimes in Mango Lassi you do not need to add any sugar depending on the sweetness of Mango Pulp. Firstly,in a blender add all the ingredients mentioned to make the basic yogurt blend. Divide this yogurt mix into three parts. 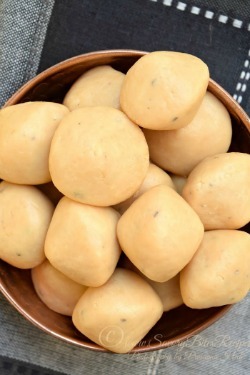 For Mango Lassi, add the mango pulp to one part of yogurt mix and pulse once. If you need more sugar then add accordingly. For Matcha Lassi, add the Matcha and ginger powder to second part of yogurt mix and blend once. For Elaichi Lassi,add the cardamom powder to the third part of yogurt mix. 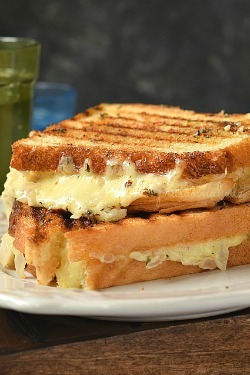 If you liked my liked my recipe then do pin it! Have you checked out my recent recipe video? 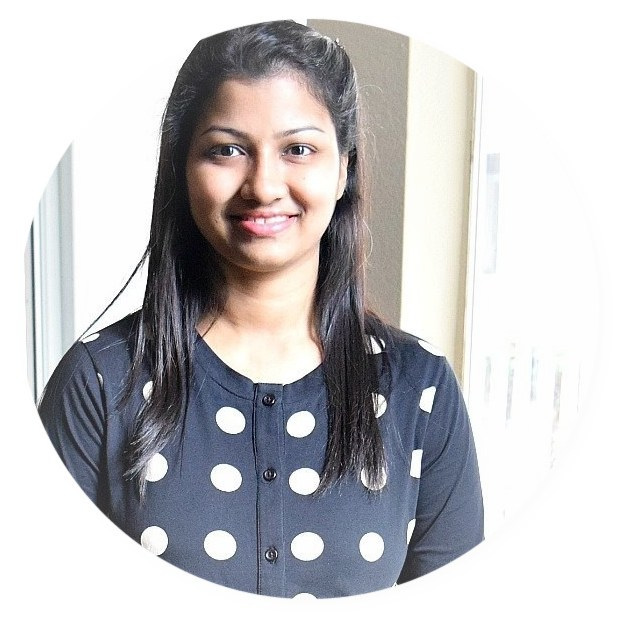 Do check out my YouTube channel and don't forget to subscribe!Here is the link. These drinks look so refreshing and perfect for the warmer weather in the spring and summer! All the flavours sound delicious, especially the mango! I love these yogurt based beverages. They look so refreshing. I love that your recipe is for three different types because I can't decide which one I want to try first. Now, I can have all three and share with my husband. All of these drinks look so refreshing and delicious! They look perfect for a spring day. Wait, who am I kidding, it looks perfect for any day! We love yogurt, especially in a great drink! Seriously in love with Mango, so this is perfect and you gave me three different options. Loving it! Oh man, I haven't had a lassi in forever and you have reminded me! I have always loved mango ones. And I have never tried to make them myself. It is about time I gave it a shot! I love matcha, too. What a great idea to make a lassi with it! Loving the sprinkle of saffron! My children love yoghurt based drinks so I can't wait to give these a try. These sound sooooo delicious! Love how colorful they are and how refreshing they look. My family would love these in the summer! I do love lassis and especially mango lassis. Your recipes sound so tasty as well as easy to make so there's really no excuse not to make one! All 3 of these flavors look amazing but I really like the Cardamom one. 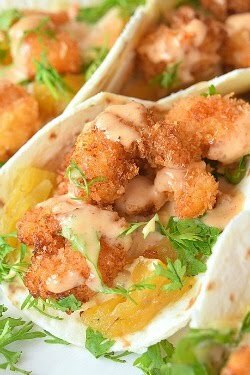 Sounds great and easy to make at home anytime I like! I've never had a lassi and I love all of these flavor options. Can't wait to try them all. The drinks look very refreshing and the flavors are great for summer. I've never tried the cardamon flavor -- I bet it's delicious. Will be trying these out when the weather warms up.